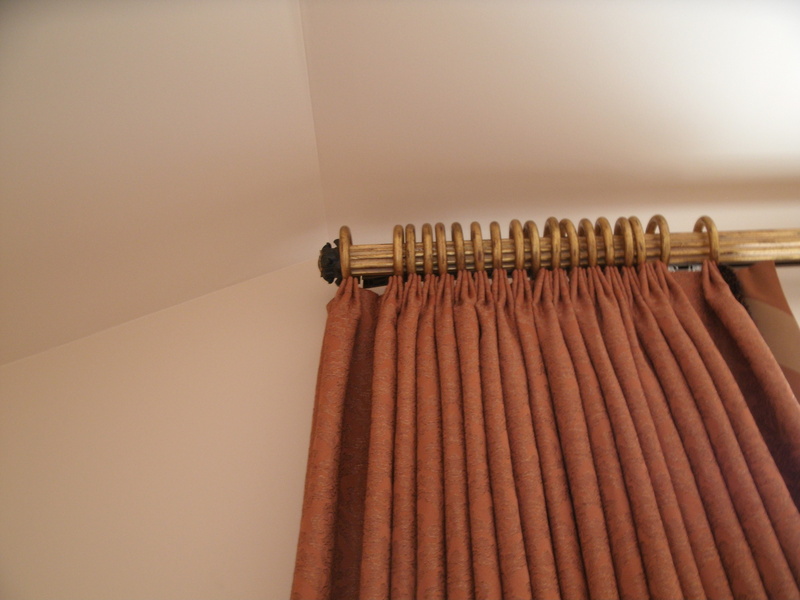 These Custom draperies had won the 2nd place International award at the Vision annual design competition! 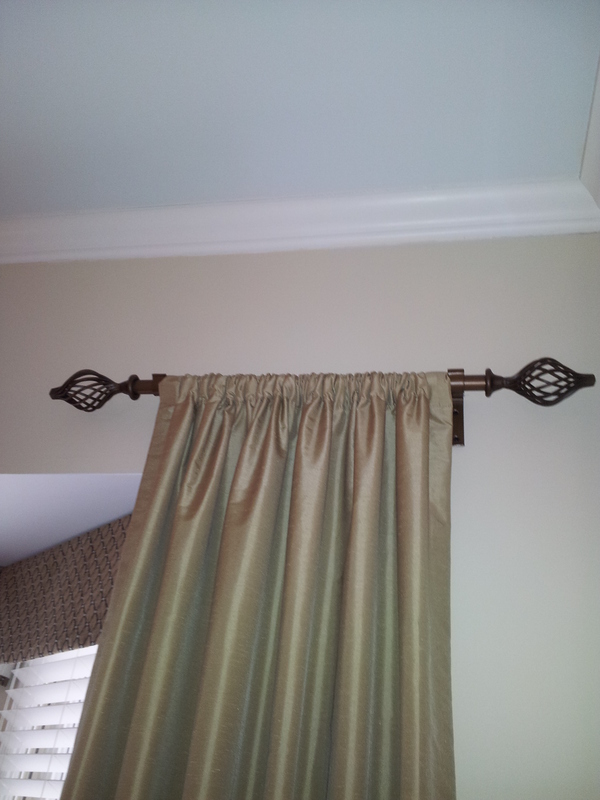 The category of the competition was the creative use of drapery hardware and trim. 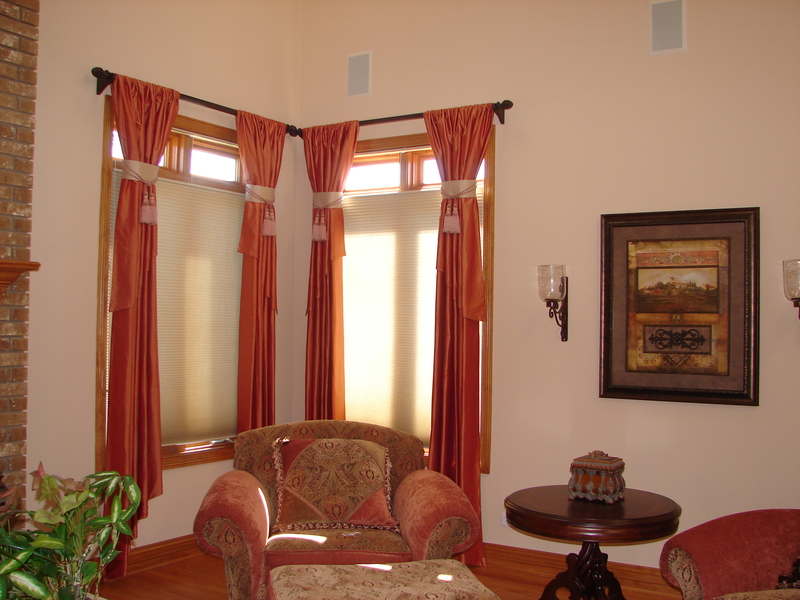 The client expressed her desire to have the window treatment as “open” as possible since her family likes the light and the beautiful view of the lake. She also said she likes swags. 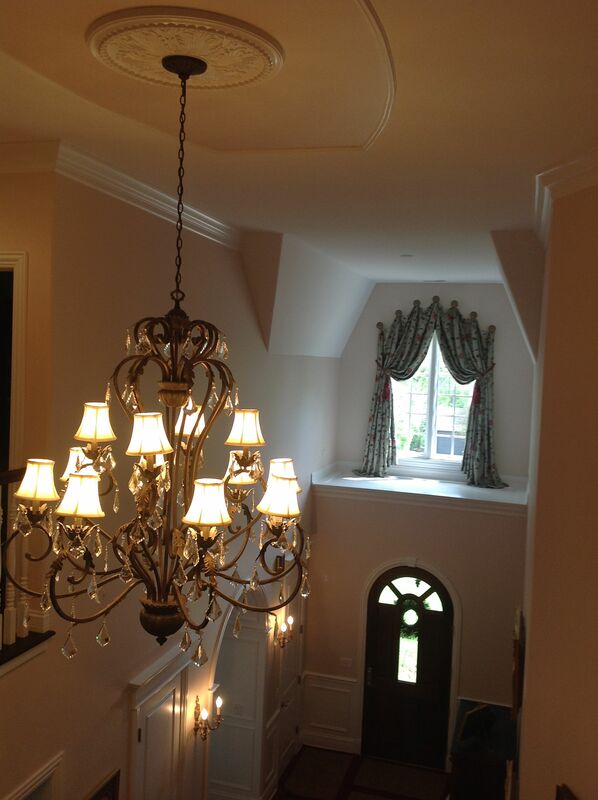 Her third request was to design the window treatment with the chandelier in mind. And she also requested that the color of the fabric complement her existing furnishings and the beautiful Persian rug in the room. 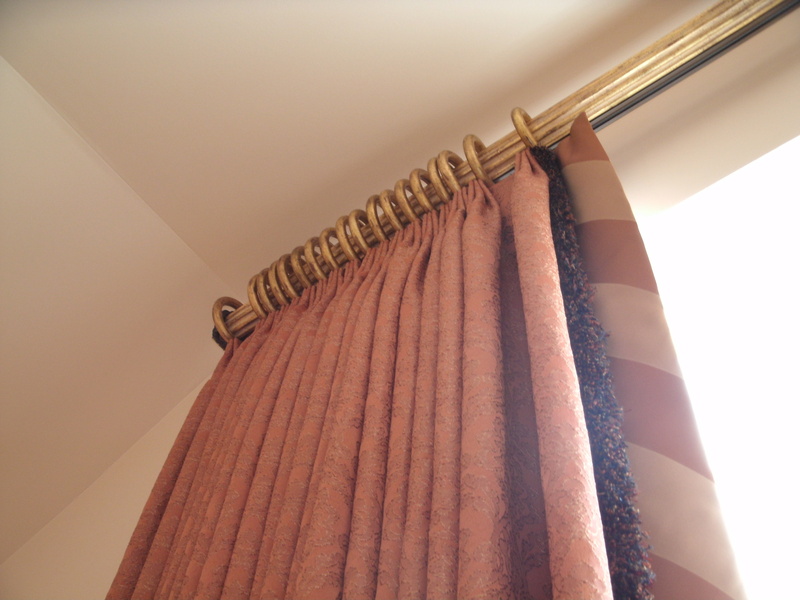 A textured sheer fabric was selected for the cascading swags in order to keep the window open, as the client requested. Layered side panels sweep down from the second tier of the window to the floor, with a slight break to give definition to the window and visually support the swags. The first layer is interlined silk, and the textured sheer used for the swag comes over as a second layer to create a visual connection. 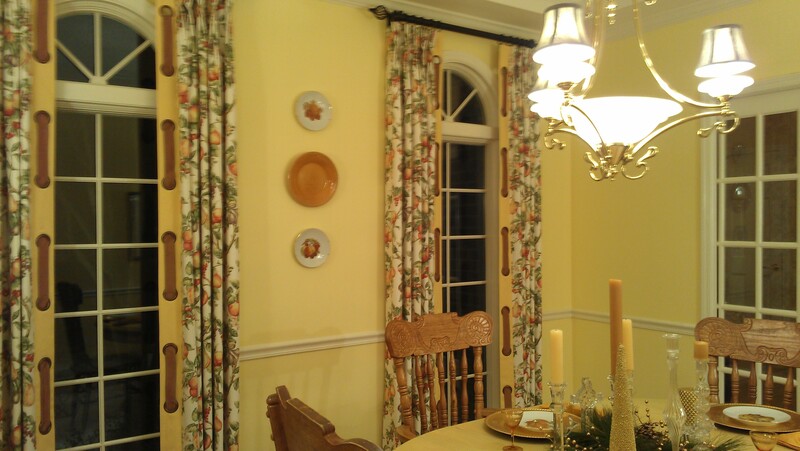 The soft mango color of the fabric was selected because it beautifully complements the client’s furnishings. The hardware was created by connecting several wrought iron pieces from the Helser Brothers Artigiani collection. The pieces selected resemble the chandelier; the crystal pieces were carefully selected and added to create a unique design which looks perfect with the chandelier! 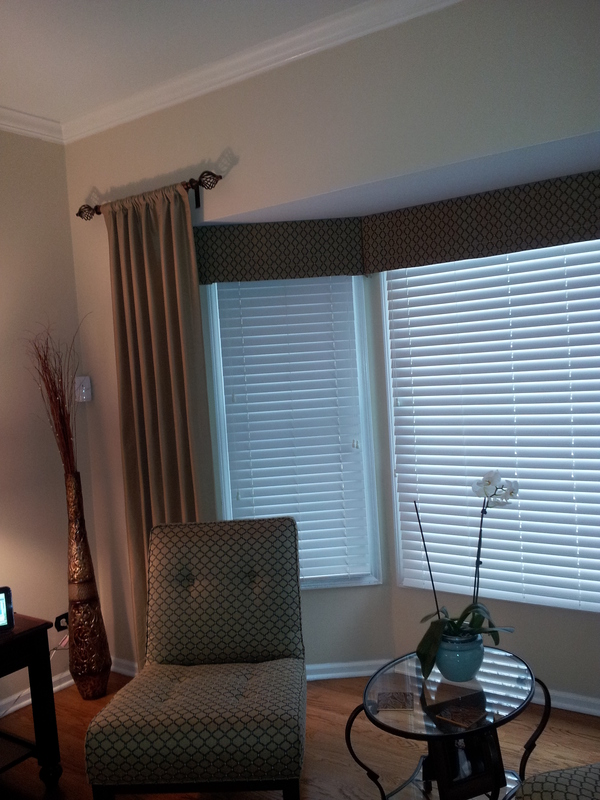 Any style, traditional, transitional, modern, or eclectic, we will create the style for you. We will work with your budget and at your own pace! Dress up your draperies with unique trims and embellishments!